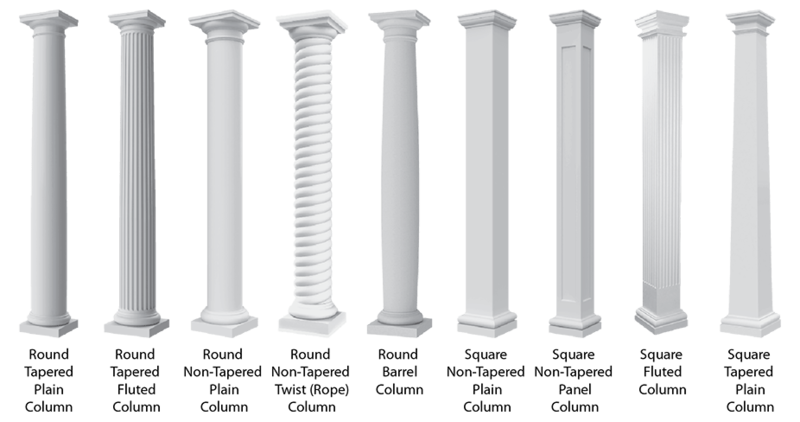 Architectural Mall’s fiberglass pergolas come prefinished white with Spartan tails in 3 standard sizes (12’x12′,14’x14′, and 16’x16′ overhead size) with either square or round non-tapered architectural columns (column neck rings or astragals sold separately, cap and base included). Our pultrusion technology produces the strongest yet lightest fiberglass pergolas offered in the marketplace. While stronger than steel but lighter than wood, our beams won’t bend under their own weight like substitute products which is why we warranty our products for life. Our 3 standard packages will ship within 1 week of placement of order and arrive with all hardware necessary for the quickest installation (hours not days). 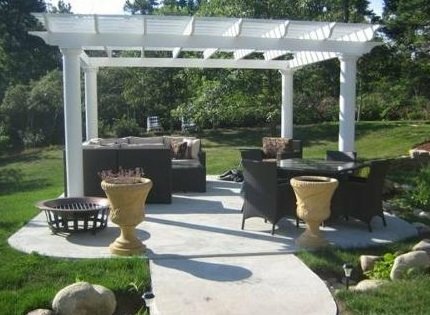 In addition to our standard overhead sizes, we can supply custom fiberglass pergolas that can span up to 26′ without the sagging that can be expected with vinyl alternatives. 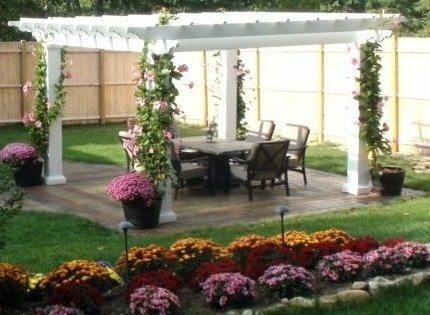 This PDF has the foot print of the Pergola (arbor), the line drawing of each standard size, and all of the components that are included in each package. In cases where more customization is needed, such as color and size, please contact us via email or by calling us at 877-279-9993. We will design fiberglass pergolas with a ready to install kit and brackets already installed on the support beams to your specifications. We can provide custom quotes within 24 hours.